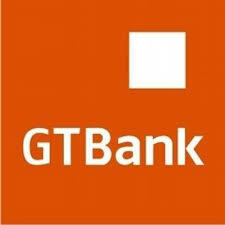 Guaranty Trust Bank Plc is celebrating the 10th anniversary of its listing on the London Stock Exchange whereby the bank became the first Nigerian bank to be listed on the London Stock Exchange (LSE), the first to dual list on an international exchange and the first Nigerian company to raise international capital using listed Global Depositary Receipts. To mark the pioneering feat, the MD/ CEO of GTBank, Mr Segun Agbaje led the Market Open Ceremony at the LSE on Friday, July 28, 2017, accompanied by senior representatives of the bank and other institutional partners. The London Stock Exchange is a diversified international exchange that offers international business, and investors, unrivalled access to Europe’s capital markets. Since its listing on the LSE, GTBank embarked on a decade of unparalleled growth, leading the financial industry in profitability and products and service delivery. Commenting on the anniversary, Mr Agbaje, said, “To be listed on the London Stock Exchange, one of the most illustrious exchanges in the world, was a pioneering feat which remains fresh in our minds.